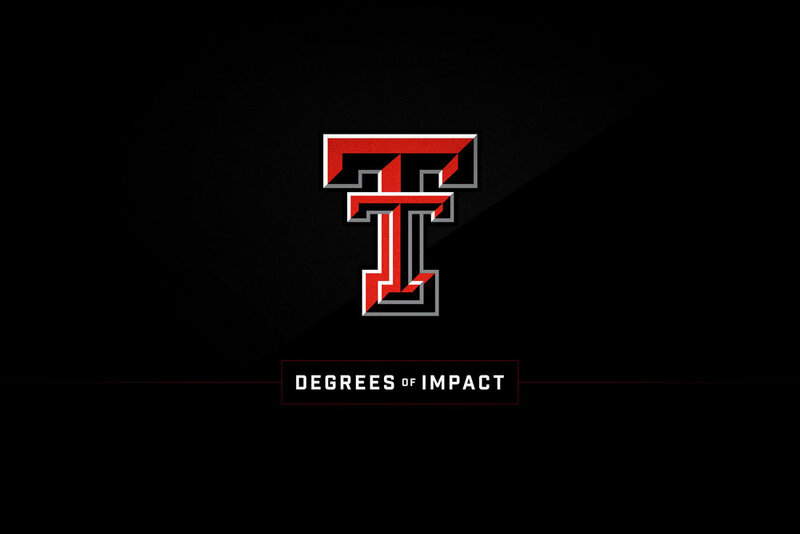 Degrees of Impact was a multi-media campaign designed to enhance the visibility of Texas Tech University and promote its academic and athletics programs. 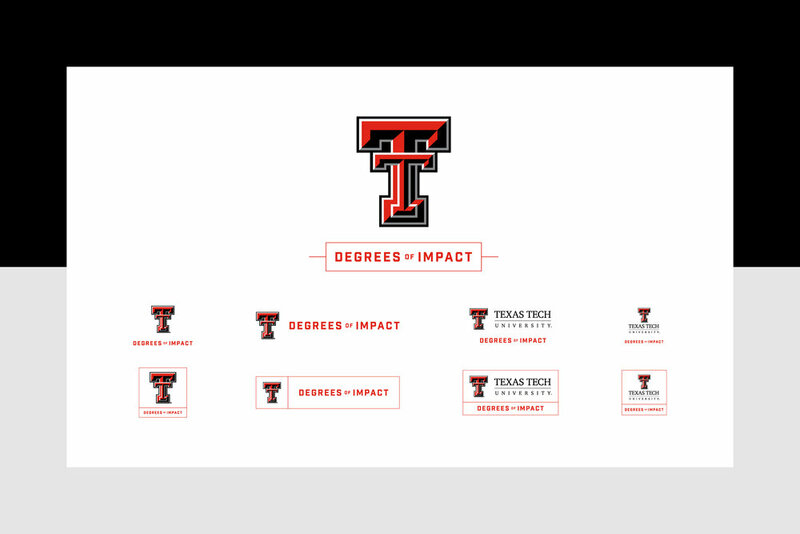 The positioning was created to work not only with academics and athletics, but with university recruitment, alumni, development, national & international programs, and region specific audiences and needs. 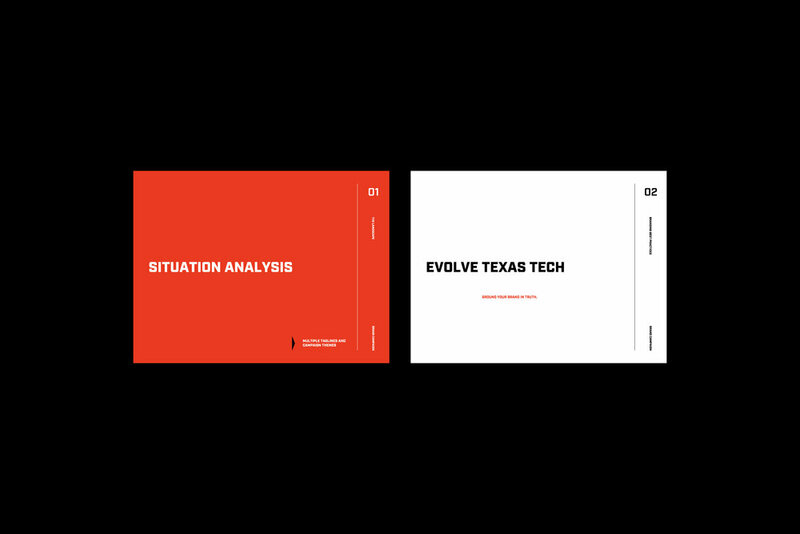 The campaign identity called for a focus on logotype and simple visual elements to illustrate the narrative. 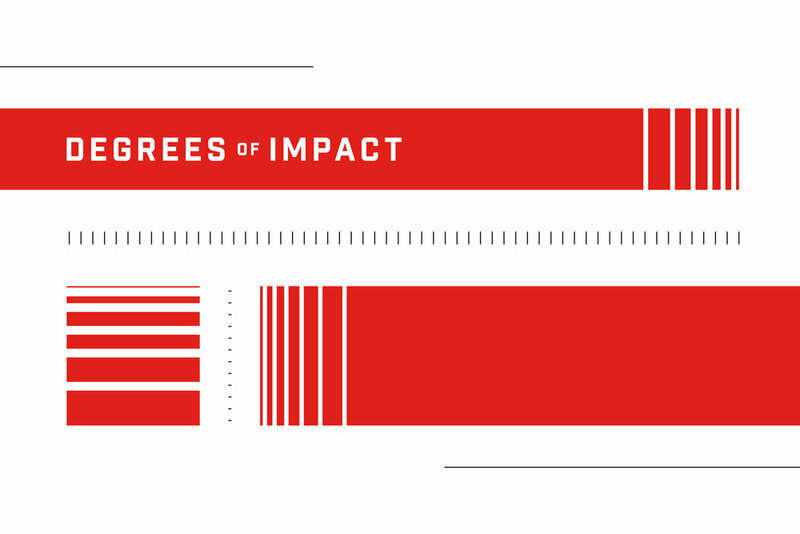 The campaign name was brought to life with structured line art used to suggest methods of measurement. 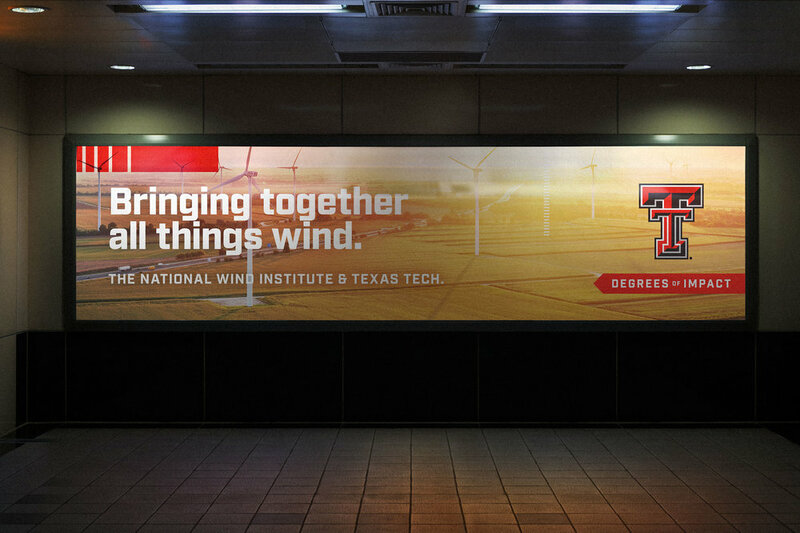 Additional design needs for the campaign included print advertisements, outdoor billboards for print and digital, infographics, and assets for video.